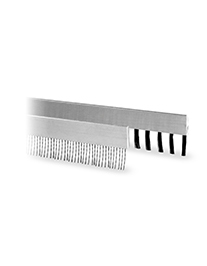 Formseal offer numerous speciality products such as Lath Brushes, Antistatic Brushes, Flexible Brush Strip and more. If you have a specific enquiry, then feel free to get in touch, and we will do our best to help you! Free, no obligation quotation. Contact us TODAY! 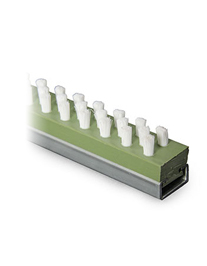 • Plastic section with filaments punched directly into the stock. • Designed to fit on working table surfaces. • Supplied in 2m length. • Manufactured using stainless steel yarn and carbon fibre. • Comes with integral backing tape. 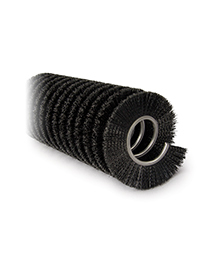 • Supplied in 1m lengths with a 15 mm trim.